If you didn’t manage to catch any of the new comedy, “This Is Jinsy”, on Sky Atlantic, you can now see it all in your own time thanks to the release of the DVD. 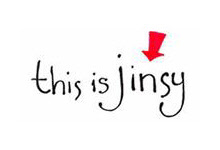 Jinsy is a fictional island, full of weird and wonderful characters. The show follows the islanders through their adventures, focusing on Maven and Sporall who look over the island and try to ensure all remains well for the inhabitants. And it lived up to this throughout all 8 episodes. If you are in to oddball funky comedy, such as Mighty Boosh or The League of Gentlemen then you will love this, as it is similar, however if you hate those programs I would recommend you steer clear of this one too. My favourite episode was 3, closely followed by 7. Both absolutely brilliant, and stood out for me even above the others despite enjoying the whole series. I won’t put any spoilers here though! Extras you also get are; Never before seen clips, Jinsy karaoke and in-character comedies. The extras are a bit thin on the ground for me, would like to have seen a few more. I think when buying a DVD you should be given plenty of extras as a thanks for paying your money for the DVD, because in actual fact most programs are now repeated and if you have Sky you can just throw it on series link, and job done, you have all the episodes and no reason to buy the DVD. So I feel its a shame there are so few extras. Overall I rate the first series 8/10, if you are a fan of this sort of comedy you will love it, if you don’t like this style of humour, it’s one to avoid! The DVD is available now from all good retailers, such as Amazon and plenty of rubbish ones too.